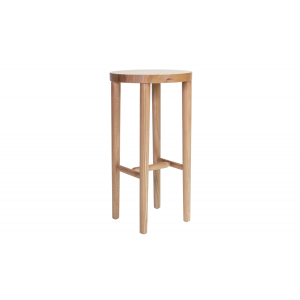 A nice solid wood barstool - thick and engaging wood. 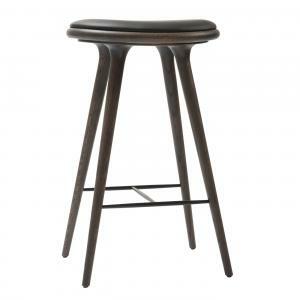 A sturdy and simply elegant wood stool. 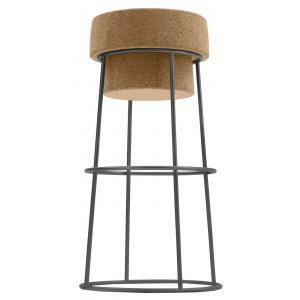 The backless alternative to the company’s original barstool, this new seating option is constructed of solid English walnut and is finished in a matte clear lacquer for added durability. 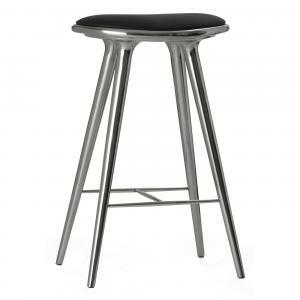 Supportive cross braces wrapped in brushed stainless steel provide extra support, making the Backless Barstool strong enough for residential or commercial use. Goes well with restaurant dining chair as well.